Bathroom pipes can be exposed in places, such as under a pedestal sink, along the shower or near the toilet. In other cases, an unrelated pipe may be routed through the room. Exposed pipes make the room seem unfinished and are not designed with aesthetic appeal in mind. 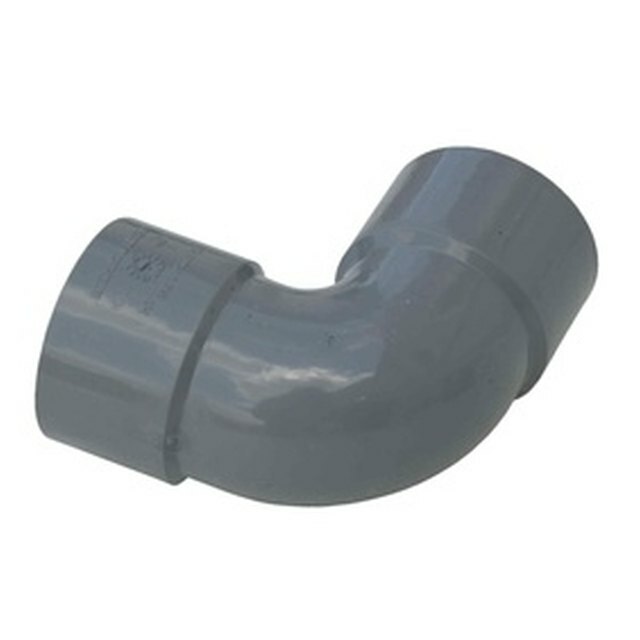 Base the method of hiding your bathroom pipe on its location. Exposed bathroom pipes are an eyesore. Make folding plywood screens to hide pipes under the sink or along the wall. Cut three equal sized panels that are tall enough to conceal the pipes. Line up the three panels on a flat surface and screw hinges between each panel. Paint the panels in the color of your choice. Fold them out in front of the pipes to block them. Use a pre-made folding room divider in large bathrooms if the pipe takes up a big area. Install a sink skirt around the basin of a pedestal sink, which drapes downward to hide the pipes and also provides extra storage space beneath. Sew your own skirt from fabric or purchase a pre-made one. Stick it into place with adhesive or Velcro. Place an item in front of a bathroom pipe that comes out of the floor or runs upward along the wall. Cover it with a piece of furniture, such as a bathroom storage cabinet, or add some greenery by placing a potted plant in front of the pipe. Conceal a bathroom pipe by wrapping it in fabric strips, thick ribbon or even fake vines. Make sure the pipe isn’t one that is prone to sweating, as this could damage the wrap. If fully hiding your pipes isn’t an option, paint them the same color as the wall behind it, which helps to camouflage its appearance. How do I Build an A-Frame Porch Awning?